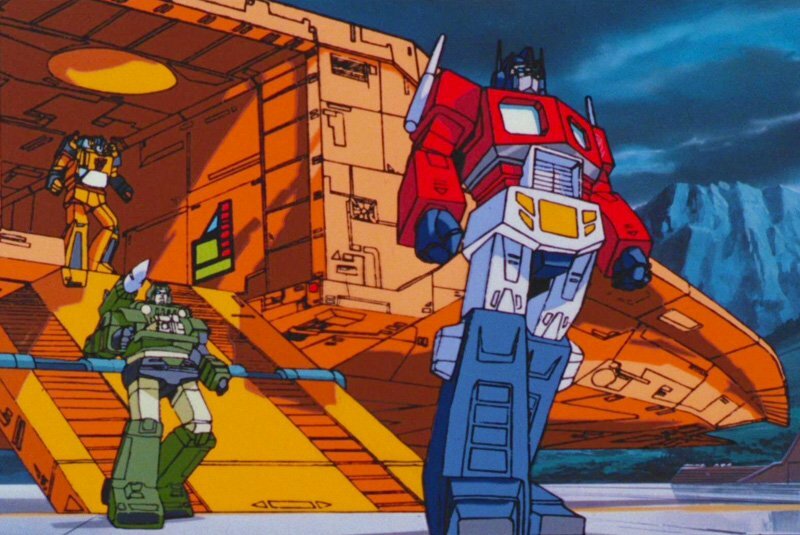 I'll never forget being nine years old and going to the theater with my Dad to see Transformers: The Movie. He didn't give a crap about it, of course, but I was practically bouncing out of my seat the whole time. I remember vividly shouting "Kup!" at the screen even though it was actually Hot Rod who was on it. I was just too excited and got my Autobots all mixed up. No matter how much money Michael Bay poured into his live-action Transformers movies none of them could hold a cube of energon to Transformers: The Movie, and now it's coming back to theaters for one night only. Hasbro and Shout! Factory are teaming up with Fathom Events for a nationwide one night only screening of Transformers: The Movie on Thursday, September 27th at 7:00pm. The digitally remastered edition will include a sneak peek at the upcoming Bumblebee live-action movie, which looks incredible. There will also be a brand new interview with Stan Bush, the singer/songwriter behind "The Touch", and there will be a recent performance of the unforgettable theme song. Unfortunately he won't be joined by Mark Wahlberg and John C. Reilly. Boogie Nights fans know what I'm talking about. To me, Transformers: The Movie is the greatest cartoon movie ever made. Period, full stop. The 1986 film, which Hasbro lost a bunch of money on, by the way, told another battle in the ongoing war between the Autobots and Decepticons, but this would not be your typical fight. In a story that I know traumatized me and my friends, characters we loved were slaughtered like they were going out of style. Optimus Prime ate it, so did my beloved Ultra Magnus, and Megatron was so wrecked he had to be transformed into the crappy Galvatron. It was like Transformers was ditching the past and introducing a new wave of characters, which it was, but damned if my little heart could stand it. Hasbro would kick my teeth in again later with GI Joe: The Movie, which saw Duke take a spear right to the damn heart. It's worth noting that film was supposed to be in theaters, too, except Hasbro was afraid of losing more money. Anyway, Transformers: The Movie will be available at over 500 theaters. You can find one near you and pre-order your tickets on August 3rd by going here.